Living in a state with a deregulated energy market means you can choose between a natural gas utility or a retail energy supplier to source the power for your home. Utility companies deliver natural gas through a series of pipelines. They also own and maintain meters, address emergency situations such as gas leaks, and more. Because a utility's pricing depends on the current market, the rates they charge for natural gas fluctuate with the seasons. So what does a competitive retail supplier do? Retail suppliers (like Direct Energy) compete with the utility and other suppliers to provide the same energy but with better pricing, customer service, benefits and more. You can find more detail about the differences between these two types of suppliers on our utility versus retail infographic. In 2002, Illinois residential customers gained the power to choose their natural gas supplier. Since then, the market has expanded to many providers, resulting in increased competition and lower rates for consumers. With so many natural gas supplier options in the Land of Lincoln, you have the power to decide which company meets your home's energy needs. Instead of being stuck with just one option, you can now consider factors like customer service, price, technology, learning resources and reliability when selecting your provider. Visit our learning center to read more about the history of Illinois natural gas deregulation. Why Choose Direct Energy as Your Natural Gas Company? At Direct Energy, our customers are our top priority. We want to empower you to choose the right natural gas plan for your budget, home and family, so we offer several plan terms for you to choose from. We even have a complete guide on how to shop for natural gas in Illinois to help you make an informed decision. Choosing one of our fixed-rate plans gives you access to great pricing, customer service and educational resources. 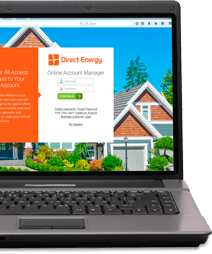 Join 4 million customers across North America and start taking advantage of all that Direct Energy has to offer! Making the switch to Direct Energy is easy, convenient and secure - by phone or here online. You'll keep getting billed through your utility so that you can enjoy consistent billing, and you'll never experience any change or disruption in your natural gas service during the switch from your utility or other provider. Not in Nicor Gas? 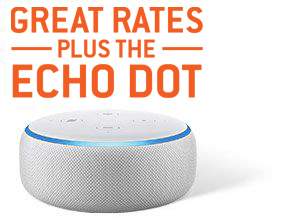 Please Enter Your Location We would like to provide you with the most accurate information on on our offers, including available plans and pricing. Please enter at least your zip code, but you may also enter your complete address for more detailed information.